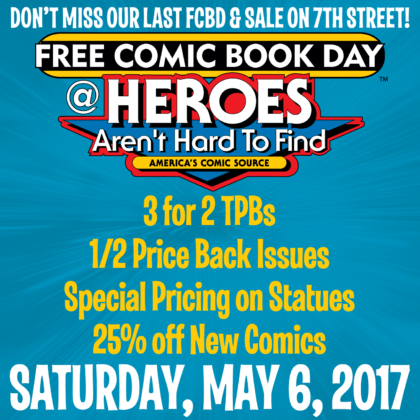 Filed Under: EVENTS, Free Comic Book Day, Sale! 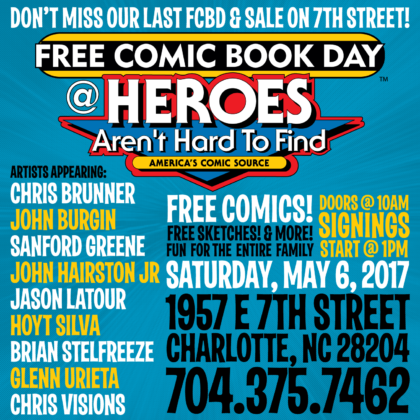 ← HEROESCON 2017 GUEST LIST UPDATE! GUILLORY! ZDARSKY! MORE!